Armco Crash Barriers in the UK has become the generic name for the corrugated steel crash barrier you would see around a racetrack protecting the drivers and crowd. It’s use now goes far beyond the racetrack and Armco Barriers can be widely seen as a protective measure for people and property, indoors and outdoors, in locations such as car parks, warehouses, loading bays and yards, factories, docks, quaysides and private roads all over the UK. The installation of a small amount of crash barrier in the right location can prevent thousands of pounds worth of damage to the fabric of your buildings, stock, machinery and plant. 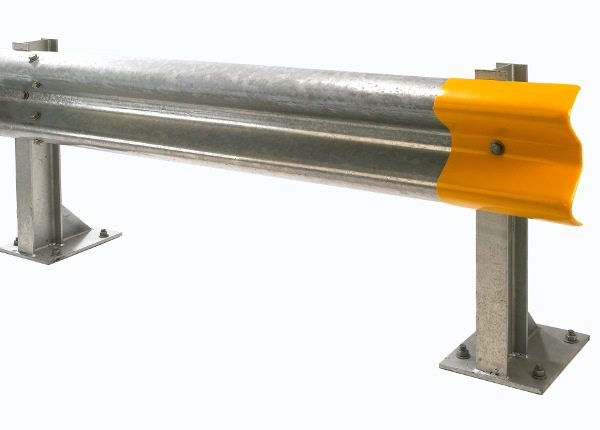 We can supply Armco Barriers in single row or multi row formats, with a variety of post sizes to bolt down or to cast in, to effectively cope with your individual problems, whatever type of vehicle.